There are literally gazillions of SEO tools out there, both free and paid-for. As an attempt to distil these, I’ve put together a list of the most popular essential SEO tools and software to help digital marketers run their SEO campaigns. Everyone has their favourite SEO tools and I’ve avoided temptation to call this post “the best SEO tools”. Feel free to contribute your thoughts and experiences with these and other tools. A must tool for any SEO’ers arsenal. 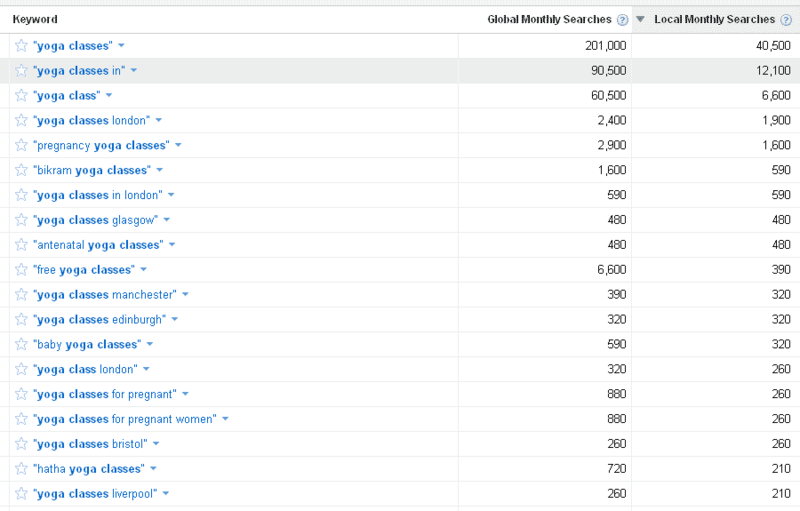 The Google Keyword Tool provides search demand data which can be filtered by region and device (mobile versus desktop) among others. 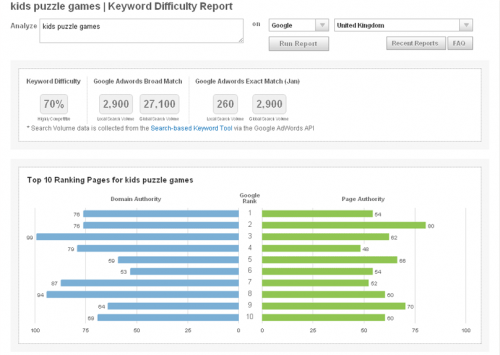 But the real power of Google’s Keyword Tool is when using its broad, phrase and exact match types which help provide a fuller understanding of short and long tail search habits. If you’re worried out duplicate content or plagiarism, take a look at Copyscape. There’s a free limited use option or a paid-for option providing unlimited use. Great for writers, bloggers or content editors in addition to SEO folk. 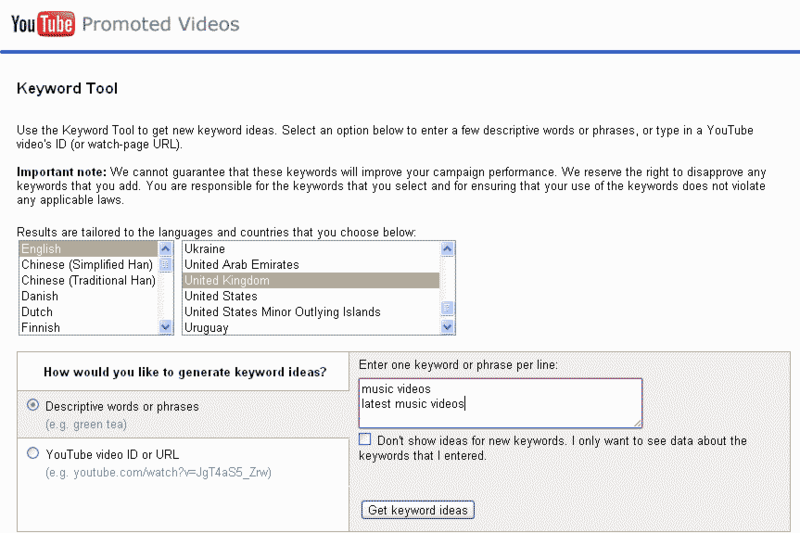 This is YouTube’s equivalent to the Google Keyword Tool. 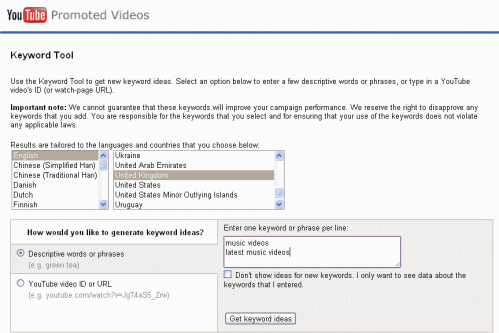 Great for optimising your video titles, descriptions and tags as part of a Video SEO strategy. This tool has so many features, it’s hard to list them all here. Google Insights allows you to measure search trends by time and region as well as filtering by Google web, news, product and image search. It also publishes popular and rising search trends; great if you’re an SEO copywriter or content strategist and need to think about your keyword co-occurrence. 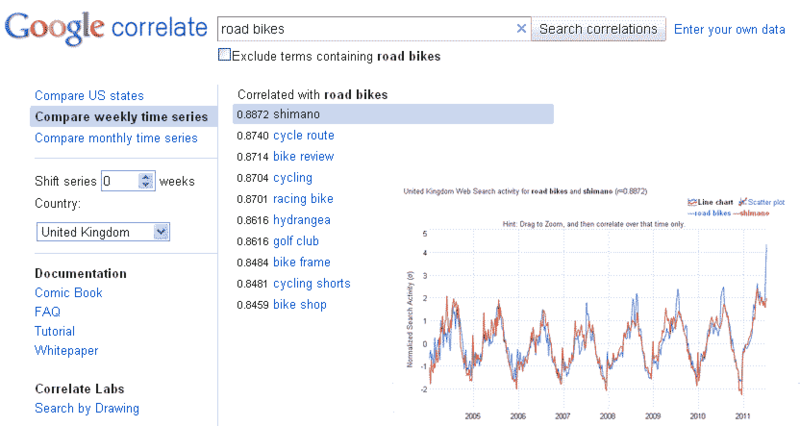 Only recently out of beta, Google Correlate shows the relationship between search trends and is a popular tool with planners. Have a play with Google Correlate and you will discover some fascinating correlations – some more useful than others. 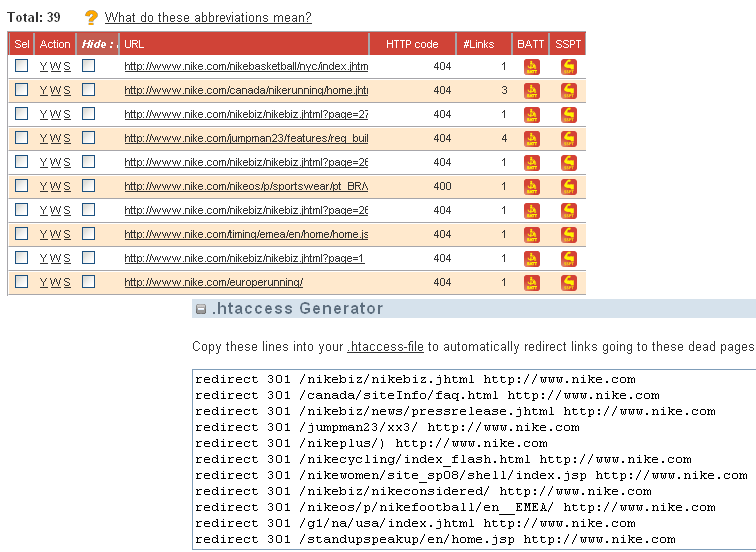 Part of the SEOmoz suite of tools, Open Site Explorer is a truly brilliant back link discovery tool. 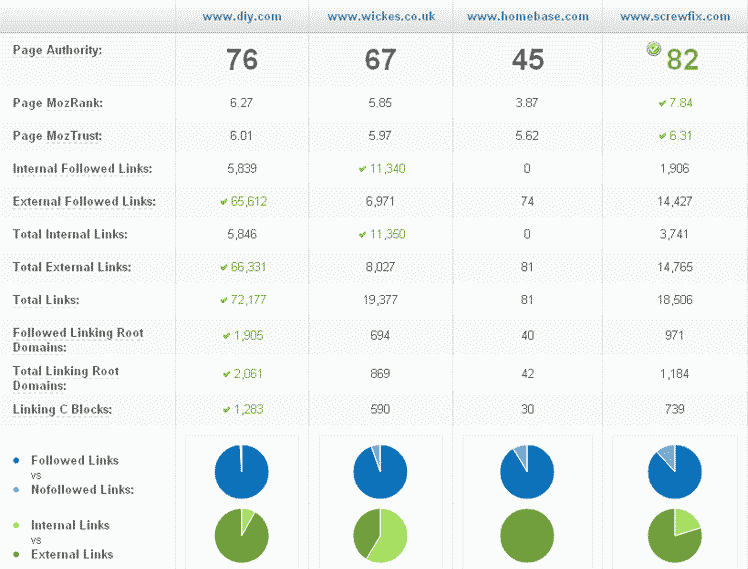 Not only does it give you a wealth of backlink data ranging from anchor text and social metrics to backlink page and domain authority, it also allows you to easily carry out competitor analysis as illustrated below. Any SEO copywriter will tell you the huge importance usability plays in online copy. 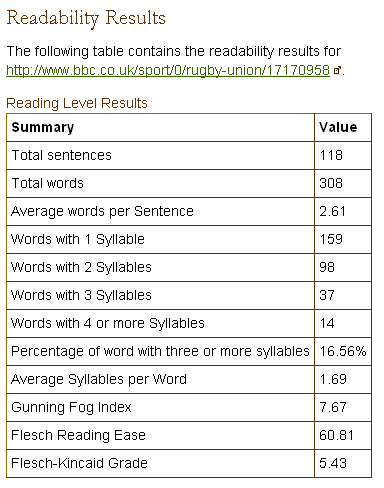 Once you’ve drafted your copy, check its readability using the Juicy Studio’s Readability test. You will be exposed to a wealth of metrics including the Gunning Fogg index and Flesch Reading Ease scale. 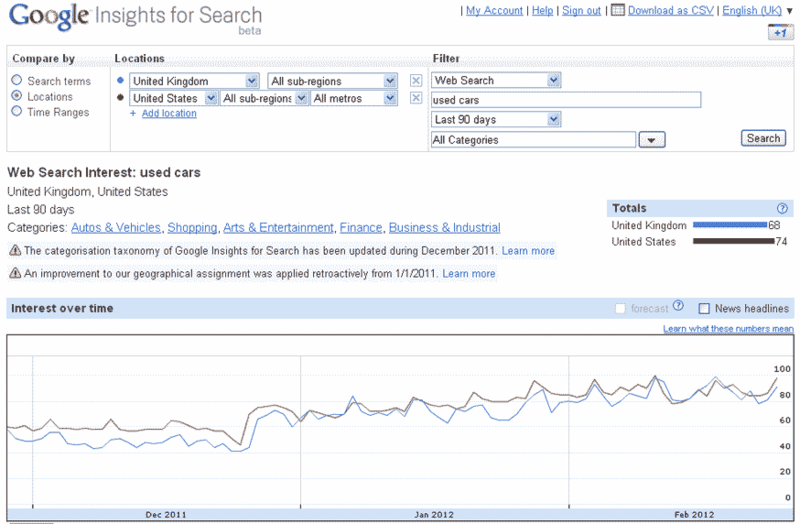 The pre-cursor to Google Insights, Google Trends allows you to easily measure search trends by region and time. 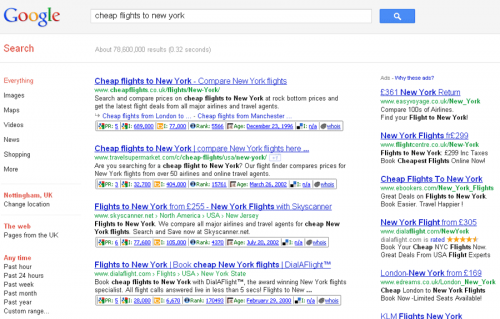 A simple tool with a wealth of uses in search. Ever wondered how many backlinks you have linking to pages on your website that don’t exist any more? The Link Juice Recovery Tool will reveal all, and more importantly, will suggest 301 redirects in order that you can regain that lost link equity. Essentially, Xenu Link Sleuth is a free downloadable piece of software that helps webmasters find broken links on their website. 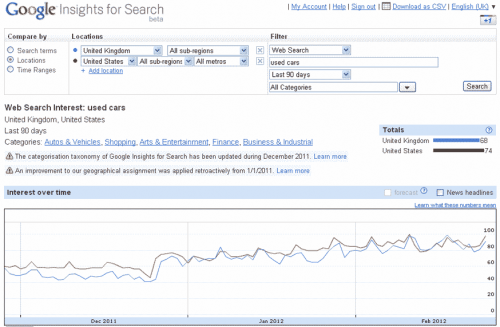 However, it has a lot more applications than that, as explained nicely by Tom Critchlow on the SEOmoz blog. If you have a small website of less than 500 pages, XML-sitemaps will, for free, let you easily create XML sitemaps for submission to Google and Bing’s webmaster tools. 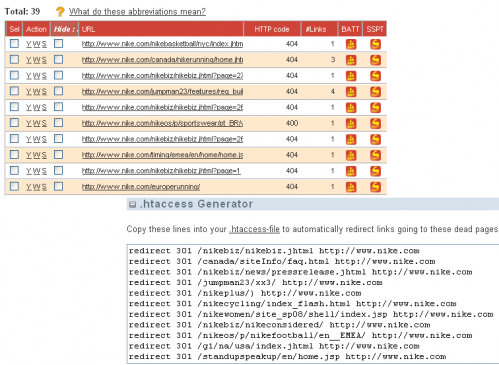 It can even handle other sitemap formats such as news and videos. If you have a large site, purchase a copy from these guys at minimal cost and let the software auto submit for you. 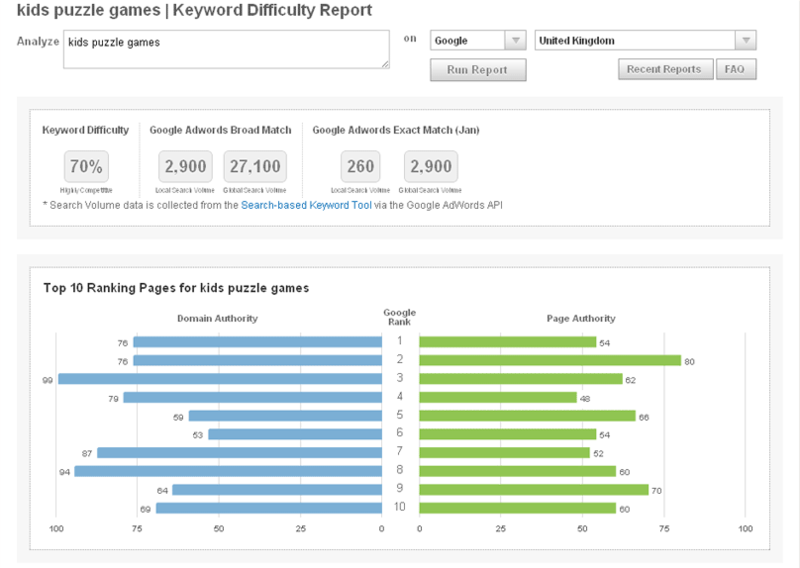 The Keyword Difficulty tool from SEOmoz is a must have for copywriters, PR professionals or bloggers as well as SEO’ers. 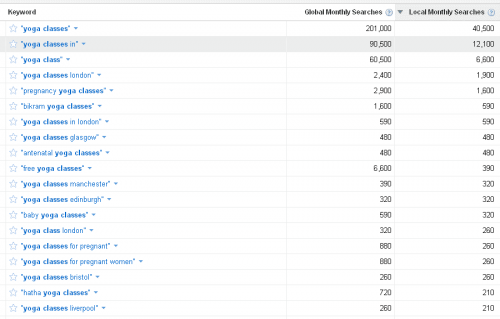 Add your keywords and measure the page and domain authority of the top 10 ranked websites on Google. You can then decide if you stand a chance of competing. 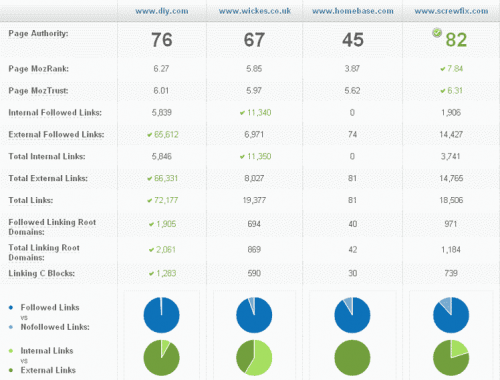 A great tool for backlink discovery; furthermore Majestic SEO offers metrics on link velocity – a nice way to benchmark your link building campaign activity and performance. If you’re carrying out SEO on a budget, check out SEO Quake: a free SEO toolbar that works on Firefox, Safari and Opera. It’ll give you some basic but useful metrics including Google PageRank. 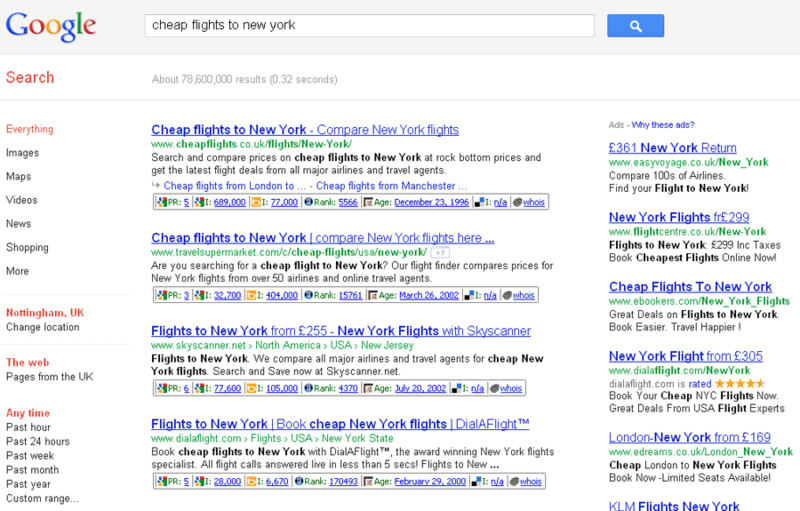 And best of all, it’ll load metrics directly into SERPS enabling you to see data across all search results. Receive your weekly keyword ranking position report from SEOmoz and track the progress of your SEO campaigns against three other competitors. Alternatives include Web Position or Raven. Despite its low market share, you may want to check out Bing’s webmaster tools. It isn’t anywhere near as comprehensive as Google’s, but one benefit is that it allows you to submit sitemaps to Bing and Yahoo at the same time. Bonus. Despite the fact that Google hasn’t fully rolled out its support for additional markup in SERPS, if you happen to trial some of the markup schema found at schema.org, it’ll be worth your while testing these first before making them live. Google’s Webmaster Central is an absolute no brainer when it comes to SEO tools. What it lacks in beauty, it makes up for in functionality. It’s packed with essential tools letting you manage your sitemaps, sitelinks and localisation as well as providing crawl diagnostic information and URL parameter management plus a lot more. If you’re serious about SEO this is an obvious starting point. Jonathan Saipe is an experienced search consultant and founder of Emarketeers. He is a regular speaker and mentor, and currently leads Emarketeers’ SEO training course. I’d add 1 item to it: Google Analytics. While I do realise not every business uses it, for those who do it is an absolute goldmine full of insights about website performance and SEO/search. Great list for seo . Really awesome list. Just to add one more tool- Rank Ranger has been great for tracking / ranking keywords for me. man… I’m almost dizzy and ’bout jumping into my notebook! great! thnks!!!! !